Polyurea 5100 is a 100% solids, two-component, aliphatic polyurea/polyaspartic hybrid. 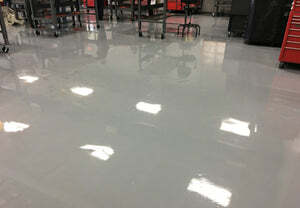 A unique resin chemistry has provided the raw materials to formulate this coating, which offers the desirable properties of polyester-polyurethane materials with virtually no odor and fewer film thickness limitations. Polyurea 5100 is a low-viscosity, solvent-free, easy-to-handle product that provides a very high gloss finishes that are both hard and abrasion resistant. 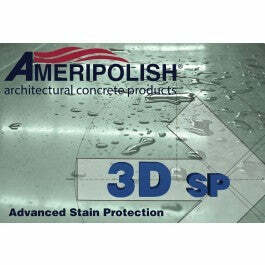 This material releases soil easily and has excellent resistance to a broad range of chemicals. 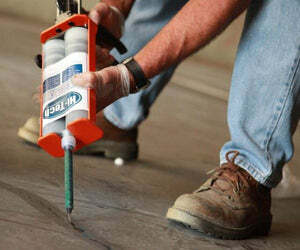 Unlike conventional polyurea materials, Polyurea 5100 has enough work time to be applied by brush and roller. 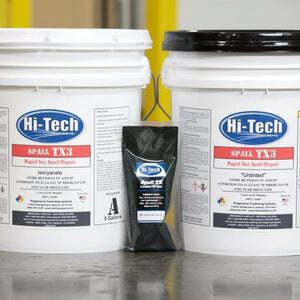 It is available in both a regular cure and a fast-cure version for use in rapid turnaround projects. The fast-cure material may be used at temperatures as low as 20F. For exterior applications, a UV stabilizer package is incorporated to ensure long-term gloss retention and resistance to yellowing. Polyurea 5100 was developed as a high-performance topcoat for various protective coatings and seamless flooring applications. 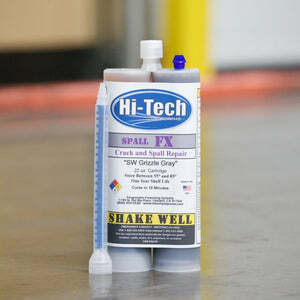 Since it is solvent free, it may be applied heavier in one coat than conventional solvent or water-based polyurethanes. Applications that required two or more topcoats can now be applied in a single application, resulting in savings of both time and labor. 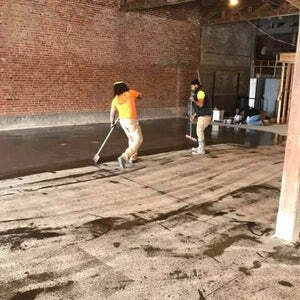 Polyurea 5100 is ideally suited for use as a finish coat in color chip and color quartz flooring, automotive repair facilities, aircraft hangars, clean rooms and various types of decorative architectural concrete applications.